We all have busy schedules and unfortunately for the majority of the population, our daily fitness routine is at the bottom of the list. It’s the first thing that gets cut when something goes wrong in our lives. At the end of a long day, going home to workout is the last thing you want to do and reaching for the comfort food is more often than not, the first thing you want to do. 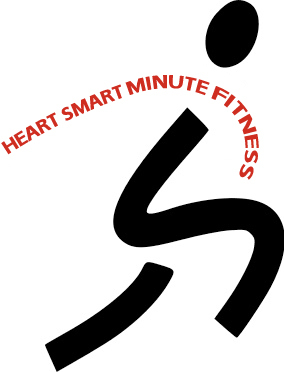 In a perfect world, your daily Heart Smart Minute fitness routine would be at the top of the list, but since this is all about realistic health and wellness, it’s often just the opposite. So what can be done when you just don’t feel like exercising? Here are 5 easy ways you can burn some calories without scheduling a workout into your day. WAKE UP to Jacks: Get out of bed and do 50 jumping jacks before hitting the shower, bright and early. Jumping jacks are a full body cardiovascular exercise that will get your blood pumping and heart rate jumping. Feeling a little ambitions….add 50 crunches and modified pushups to that routine and you can easily burn close to 100 calories in just a few minutes. WALK the DOG (or YOURSELF): Dogs are a great source of exercise, because they have to be walked. Don’t just let your dog out in the yard, use them to burn some calories. Dogs can force you to discover new places, go to the park, walk through a different neighborhood. A fast 20 minute walk with your dog is both relaxing and a fantastic way to burn calories, especially at the end of a stressful day. Don’t have a dog? Take yourself for a walk, put on your iPod and spend some time unwinding from a long day. USE a PEDOMETER: Spending an 8-10 hour day in the office is not great on your body. Wear a pedometer to track your steps during the day. Walk over to co-workers instead of emailing or texting them. Take the stairs, not the elevator, and get outside during lunch for a quick walk around the block. If you want to burn calories, you’ll find a way to do it. Make 10,000 steps per day your minimum goal. TURN OFF the TV: If you’re watching TV, you have time to exercise. Before turning on the TV at night make it your goal to burn 100 calories. It doesn’t take long and will keep your heart rate elevated while you’re watching your favorite show. CHANGE YOUR ATTITUDE: Ever notice how the more time you have on your hands the less you accomplish? Being busy forces you to have control over your time and schedule important things into your day. If your fitness plan is the first thing you’re cutting out your priorities are wrong and you’re goals are not important enough. Don’t say you are serious about getting into shape and taking care of your body, words are meaningless, let your actions prove how important your fitness goals really are. A little each day adds up to a huge difference. Schedule time to focus just on you, turn the phone off, turn the TV off and do something that will make your body strong! It’s NOT about WEIGHT LOSS…It’s about LIFE GAIN! This entry was posted in Heart Smart Minute and tagged Fitness, health, Heart Smart Minute, Heart Smart Minute fitness, Heart Smart Minute Nutrition, Nutrition, Water, Weight Loss. Bookmark the permalink.